Chicago—February 2, 2015—Chicago Shakespeare Theater (CST) announces the full casting and creative team for the highly anticipated world premiere of Sense and Sensibility, a musical adaptation of Jane Austen’s beloved novel, with book, music and lyrics by Tony Award®-nominated composer Paul Gordon. Directed by Artistic Director Barbara Gaines, this lush period production traces the lives of Elinor and Marianne Dashwood—two sisters who are as bound by their love for each other as they are conflicted in their different natures. Megan McGinnis originates the role of the wildly romantic Marianne, joined by Sharon Rietkerk as the practical and dutiful Elinor. 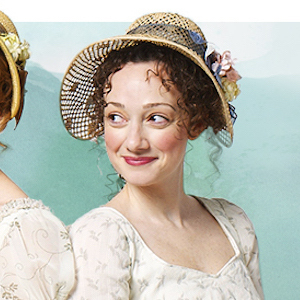 Commissioned by Chicago Shakespeare Theater, Sense and Sensibility crowns the close of the 2014/15 season in the Courtyard Theater, April 18 – June 14, 2015. Composer Paul Gordon brings fresh voice to Austen’s intimate story of love and sisterhood. A multi-talented composer, lyricist and book writer, Gordon has previously been inspired by classic texts to great success; the Broadway musical Jane Eyre, which he co-wrote, was nominated for five Tony Awards® in 2000, including Best Musical and Best Score, and his musical adaptation of Austen’s Emma won the 2007 Bay Area Critics Circle Award. Gordon’s Daddy Long Legs, written with British director John Caird, has enjoyed productions around the world. Highlighting the Theater’s commitment to new work, Sense and Sensibility concludes Chicago Shakespeare’s 2014/15 season featuring three world premieres, international tours of two original works to eight festivals and nine projects in active development. Creative Producer Rick Boynton oversees the development of a wide spectrum of new work including re-imagined classics (David Ives’ Prince Prize-winning A Flea in Her Ear, The Three Musketeers with music by George Stiles and lyrics by Paul Leigh, three original works with the Q Brothers including Othello: The Remix), collaborations with international artists (Since I Suppose with the Australia’s one step at a time like this, Cadre with South African artist Omphile Molusi) and musicals for young audiences (Michael Mahler and Alan Schmuckler’s How Can You Run with a Shell on Your Back? and The Emperor’s New Clothes). Director Barbara Gaines leads a talented cast to bring Sense and Sensibility to life on Chicago Shakespeare’s stage. Megan McGinnis takes on the role of the passionate and idealistic Marianne Dashwood. 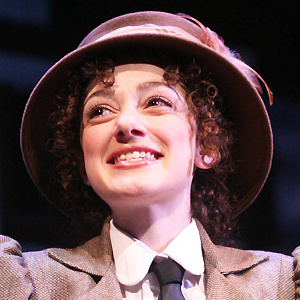 In addition to originating the role of Beth in Little Women, McGinnis has appeared on Broadway as Belle in Beauty and the Beast, Lucille in Thoroughly Modern Millie, Eponine in the revival of Les Misérables and most recently covered twins Violet and Daisy Hilton in Side Show. Sharon Rietkerk performs the role of the eldest Dashwood sister Elinor—the rational “sense” to Marianne’s more uninhibited “sensibilities.” Rietkerk regularly performs with America’s leading regional theaters, including recent appearances at the San Jose Repertory Theatre, Center Repertory Theater and American Conservatory Theater. Rietkerk is a featured concert performer with the South Coast Symphony and Napa Valley Opera House. The gentleman callers who attract the Dashwood sisters’ attentions are played by Wayne Wilcox as Edward Ferrars, Sean Allan Krill as Colonel Brandon and Peter Saide as Willoughby. Wayne Wilcox is best known for his performance as Gordon in the hit film version of RENT, and as the recurring character Marty on several seasons of The CW’s Gilmore Girls. Sean Allan Krill returns to CST after performing in Barbara Gaines’s The Comedy of Errors (2008) and in CST Associate Artistic Director Gary Griffin’s Sunday in the Park with George (2002). Krill debuted on Broadway as Sam Carmichael in Mamma Mia!, a role which he reprised in the production’s North American tour. Other Broadway credits include On a Clear Day You Can See Forever and Griffin’s current production of Honeymoon in Vegas. Peter Saide has appeared on Broadway as Bob Gaudio in Jersey Boys and toured internationally as the Prince in Disney’s Cinderella opposite Lea Salonga. Featured in the cast is Michael Aaron Lindner as the kindly John Middleton, who welcomes the Dashwood sisters onto his estate. Lindner returns to CST for his seventh production, after notable performances as Addison Mizner in Stephen Sondheim and John Weidman’s Road Show and as Gloucester in King Lear. 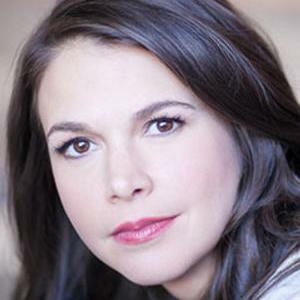 Chicago leading lady Paula Scrofano, who has been recognized with multiple Jeff Awards for her career in theaters around the city, appears as the meddling Mrs. Jennings. David Schlumpf and Tiffany Scott play John and Fanny Dashwood, who push Elinor and Marianne from their home after their father’s death, and Emily Berman performs the role of the young and clever Lucy Steele. The ensemble also features Elizabeth Telford, Megan Long and Colin Morgan. 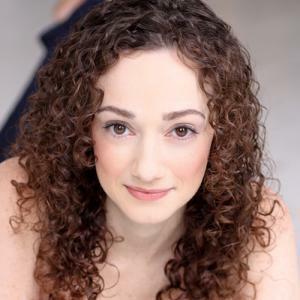 Joining Barbara Gaines on the creative team is Musical Director Laura Bergquist, who will also serve as conductor for the production’s 10-piece orchestra, and Choreographer Harrison McEldowney. Kate Galvin serves as the production’s assistant director. Sense and Sensibility features orchestrations by Tony Award®-winners Larry Hochman (Book of Mormon, 2011) and Bruce Coughlin (The Light in the Piazza, 2005), with additional arrangements by Curtis Moore. Jane Austen’s nineteenth-century England comes to CST’s stage with a lush set design by Kevin Depinet, stunning period costumes by Susan E. Mickey and wig and make-up design by Melissa Veal. Jeff Award-winning scenic designer Depinet is one of Chicago’s most prominent theatrical designers; his work has appeared at CST in 10 productions, including Henry V (2014), Gypsy (2014), and Cyrano de Bergerac (2013). 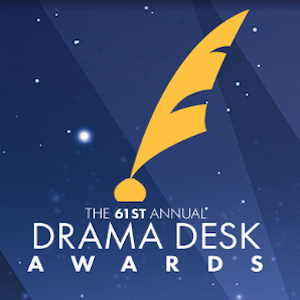 At Chicago Shakespeare, Mickey’s costume designs for The School for Lies (2012) and The Madness of King George (2011) garnered Jeff Awards, in addition to nominations for last season’s The Merry Wives of Windsor (2013) and Cyrano de Bergerac (2013). CST’s resident Jeff Award-winning Wig and Make-up Designer Melissa Veal has created looks for over 70 Chicago Shakespeare productions. Lighting Designer Don Holder is a two-time Tony Award® winner for his work on The Lion King and the revival of South Pacific, and returns to CST for his fifth production. Multiple Jeff Award-winning Sound Designer Ray Nardelli returns to CST for his tenth production, following Road Show (2014), Gypsy (2014) and Follies (2011), among others. He joins Sound Designer Dan Mead for yet another Chicago Shakespeare musical, after collaborating on the critically acclaimed productions of Gypsy (2014) and Sunday in the Park with George (2012). For a complete performance listing and more information about the production, visit www.chicagoshakes.com/sense. 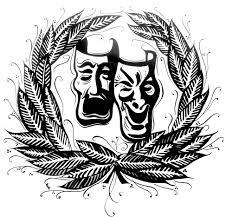 Sense and Sensibility will be performed in CST’s Courtyard Theater April 18–June 14, 2015. Tickets are on sale now for $48–$78 with special discounts available for groups of 10 or more, as well as CST for $20 tickets available for patrons under 35. All patrons receive a 40% discount on guaranteed parking in Navy Pier garages. For more information or to purchase tickets, contact Chicago Shakespeare Theater’s Box Office at 312.595.5600 or visit the Theater’s website at www.chicagoshakes.com.